Get a one year subscription to Parents Magazine for $3.76! 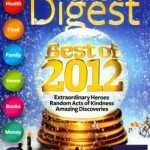 You are here: Home / Get a one year subscription to Parents Magazine for $3.76! This week, Best Deal Magazines has a HOT deal on Parent’s Magazine – you can get a one year subscription for just $3.76 when you enter the code WKLYSPEC at check-out. Parents Magazine has had some great coupons lately including coupons for 20% off diapers on Amazon, coupons for Gymboree and Crazy 8, and coupons for Tide! 1. Log into your Shop at Home account here (you’ll get 15% cash back!) If you don’t have a Shop at Home account, you’ll get a $5 bonus when you sign up for the first time here. If you are not familiar with Shop at Home and would like more information, check out this post here. 3. Once you get to Best Deal Magazines, search for Parents Magazine and click on “Add to Cart.” At check-out ,don’t forget to enter the code WKLYSPEC to save 20%! 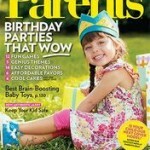 DEAL ALERT: 2 years of Parents Magazine plus a FREEBIE for $7.99! Get a 2 year subscription to Parenting: The Early Years for $4.99! WOW! Three year Parents Magazine subscription for just $5.99! Magazine Deals: Parenting – The Early years 2 year subscription for $4.99!